Hi y'all! Welcome to the blog! 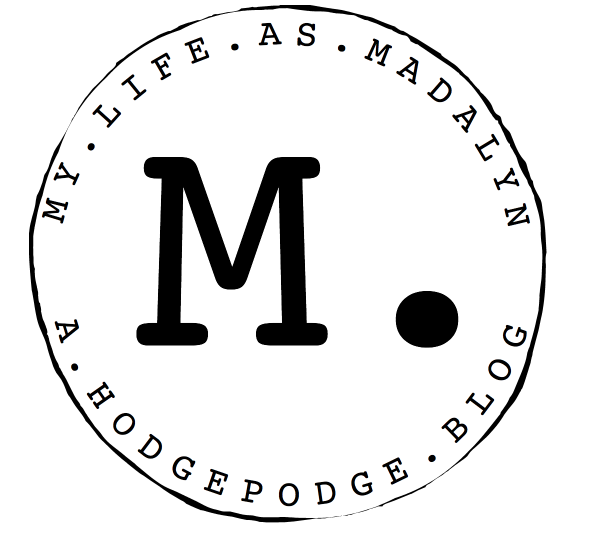 My life as Madalyn is, what I like to call, a hodgepodge blog. I choose to call it that because of how assorted the content is. I share a lot of things from many different categories because I just can't be limited to one type, ya know? Plus there is more to share than just beauty or just food in my opinion. 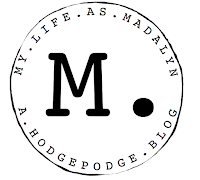 "My life as Madalyn is, what I like to call, a hodgepodge blog. I choose to call it that because of how assorted the content is. I share a lot of things from many different categories..."
I guess I will share a little back story to how my blog came to be. It all started back in 2015. June to be more precise. I had been wanting to begin sharing content on a platform but I couldn't find the right fit for me. I then finally came across a blog and figured that it was a good starting point for putting myself out there and was a good place for me to start putting into action the ideas that I had been thinking about within those last few previous years. "I...came across a blog and figured that it was a good starting point for putting myself out there and was a good place for me to start putting into action the ideas that I had been thinking about within those last few previous years." At first I didn't really know, let alone understand, the whole blogging world. I didn't know that there was a community of bloggers and readers and I didn't understand the ins-and-outs of running a successful blog. As time has gone on and as I have found myself trying to constantly improve my blog and brand, I think I can now say that I know a lot more than I did back then--but I am still learning everyday. "As time has gone on and as I have found myself trying to constantly improve my blog and brand, I think I can now say that I know a lot more than I did back then--but I am still learning everyday." I guess what I am trying to say is this: life is messy and so am I. There are many different aspects of life and my blog is a good representation of that. I might share a recipe one post and an inspirational message the next. I can't guarantee what my next post will be about but I can say that it is what makes my blog my blog. A hodgepodge blog. "I guess what I am trying to say is this: life is messy and so am I. There are many different aspects of life and my blog is a good representation of that. I might share a recipe one post and an inspirational message the next. I can't guarantee what my next post will be about but I can say that it is what makes my blog my blog. A hodgepodge blog." If you want an idea of what I write about then here are some categories that I have posted about in the past: faith, lifestyle, fashion, beauty, food, and fitness. I also talk about life experiences and sometimes I write about the latest DIY projects that I have been working on. If you want to know a little about me then here it goes. Hi, I am Madalyn though some people call me Maddie. I am a 19 year old from the great state of Texas who loves Jesus, family, and making some good memories. I am currently interested in living life to the fullest and sharing my experiences along the way. My time is spent between many things a few being my blog (the one you're reading), school (graduating in T-2 months at the time I am writing this whoop whoop), internships, and my business. I have an online store that I run at adornedwithdelight.com and I am currently doing a few social media and marketing internships. Ever since I started this journey (and even before) I knew that things would change. My mind changes constantly, new ideas start to sprout, and life happens. The next time you read this it might be completely different and I might be in a totally new chapter of my life but all I can say is be prepared and let's see what the Lord has planned for the next crazy ride. "Ever since I started this journey (and even before) I knew that things would change. My mind changes constantly, new ideas start to sprout, and life happens. The next time you read this it might be completely different and I might be in a totally new chapter of my life but all I can say is be prepared and let's see what the Lord has planned for the next crazy ride." Read until now? High-five for you! Now that you know a little bit about what you are getting into are you wondering where you should start? Try these posts and be sure to check the slider on the homepage as I try to keep it frequently updated! Want to know when I post? Even though it doesn't always work out I try to post on Wednesdays and Sundays (sometimes there might be a suprise post!). So what do you do if you really don't want to miss a new post and you want to be notified when a new one goes live? You can follow by email! There is a widget in the sidebar to follow along and you can also click this link to sign up. Once you sign up you will recieve all new posts and announcements in your email inbox. If you want to keep up with me and be really in the loop then you can follow me on social media as I am frequently on it. Below are a few of my accounts that you can follow. We also have a Facebook page that you can follow! Just click on each image and it will take you to the account. Lastly, have a question or just want to chat? You can check out the contact page here or you can DM me on social media. I try to reply as quickly as possible.